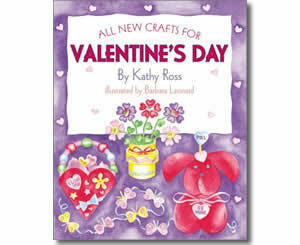 Provides instructions for creating a variety of Valentine's Day crafts, including cards, bookmarks, bracelets, Valentine holders, magnets, and more. Child friendly water coloring drawings walk children through the steps of making 20 different crafts. Most crafts require cutting and gluing. Some require drawing and hand lettering of messages.